VISTA — In a quiet cul-de-sac in Vista’s industrial district sits a nondescript warehouse, no different than any other to the untrained eye. Like most warehouses, it will soon become a hive of activity. But unlike most warehouses, it will be filled with skateboarders of all ages, learning moves, practicing tricks, getting exercise, and having fun. 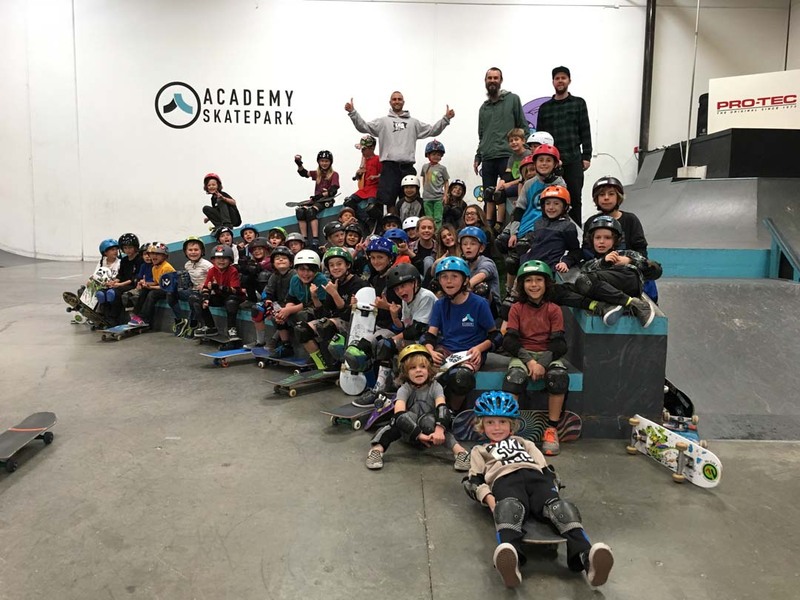 This is Academy Skatepark, on the eve of its one-year anniversary. Professional skateboarder Neal Mims, a prominent member of the skateboarding industry, launched the park. Prior to opening the Academy, Mims spent the past 20 years, as a pro, a contest judge, and recently, as a skateboarding instructor. By his own admission, Mims says opening up an indoor skatepark that’s only an indoor skatepark is a great way to go out of business in a hurry — especially in North County San Diego, where there are 10 other parks in a 10-mile radius. Competition is fierce, so the success of the Academy brand doesn’t rely solely on drop-ins looking to drop in. Mims has established a rigorous schedule of a la carte events that range from group and private lessons, demos, and camps. In addition to the competitive public park landscape, there’s even another indoor skatepark in North County — two miles away. Asked if this was coincidence or strategy, Mims explains that the location he’s so proud of was something of a plan B. “Originally, we wanted to set up shop in Bonsall, regardless of what anyone else was doing,” he said. The neighboring indoor skatepark is the Aura Skateboarding Company, a 6,000-square-foot space that acts as a showroom for its custom-ramp-building business. Owner Jim Bell explains that there were some initial bumps in the road, competition-wise, but he’s since come around. “Neal does a good job, he’s got a rad vert ramp. They are on fire, and rolling right now,” Bell said. If that weren’t enough, the city of Vista has dedicated $1.8 million and broken ground on two outdoor concrete public parks, slated to open by summer. Safety is an important concept for Mims. He takes pride in the caliber of his instructors, the design of the park, even the cleanliness of the bathrooms. It all funnels back to creating an environment where kids and parents alike can feel safe. One of the obvious advantages an indoor skatepark has over an outdoor park happens on rainy days. San Diego, however, is one of the driest cities in the country, with an average annual rainfall of 10.34 inches. Bell adds that it’s weather extremes on both ends that drive skaters indoors: “Come July, August, a lot of people will come inside to get away form the heat,” Bell said. Social media marketing has been another feather in Academy’s cap. Mims’ place in the industry and status as a former pro skater gives him access to some of the world’s best, and best-known skateboarders (local boy done good Tony Hawk has done two Facebook Live events at Academy so far). “A Tweet or an Instagram from a guy like (pro skater) Chris Cole, who has a million followers, it goes a long way,” said Mims. Mims’ vision of establishing a skateboarding school could have some unforeseen — yet lucrative — long-term benefits. In August of last year, just a few months after Mims opened Academy’s doors, the International Olympic Committee officially announced that skateboarding would be included in the 2020 Olympic games, to be held in Tokyo. Though controversial in the skateboarding industry, this announcement indicates a participation uptick in the coming years (currently 6 million strong), and Mims already has one eye toward expansion. Academy is currently adding a bowl to the park, which will be completed by the April 2 anniversary date.